Hair fall is one of the most common problems faced by people all over the world. Hormonal imbalances, scalp infections, unhealthy diet, extreme weather conditions, stress and genetics are some of the factors that lead to hair fall. A number of essential oils and oil massage treatments have been proved beneficial to enhance hair growth. We shall be discussing the amazing benefits of rosemary oil for hair growth in this article. Rosemary oil has both therapeutic and pharmacological applications and is used as a home-based remedy for a number of conditions. 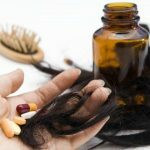 As you know, the market is flooded with hair care products but most of them are made with harsh chemicals and other substances that do more harm than good for our hairs. We would suggest that you skip those products and just use a natural essential oil for proper hair growth. Essential oils are the best products to promote your hair growth and prevent hair damages. One of the best natural essential oil which would be perfect for your hair problems is rosemary essential oil. Rosemary oil is a natural oil and has no chemicals merged which makes it the perfect option to stimulate hair growth. Its promising and superior quality and superb benefits makes it suitable for all age groups. So, you can choose rosemary oil to get full fledged hair growth, refreshing, high volume and soothing effects in your hair. You can get rosemary oil at any clinical store and it is also very affordable. This oil is quite rigorous which can be used with your other daily oils that you apply regularly onto your hair. Another way to get this oil naturally is to extract oil from clean rosemary basil and then mash the basil with your hands just to obtain fragrance and then pour it into a jar or glass bottle. You can blend any oil with it such as jojoba or olive oil. Keep this bottle in a cool and dark place for 4 weeks so that all the oils can blend with each other. 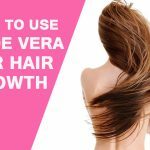 Now you can use it on your scalp to get good growth and volume in hair. 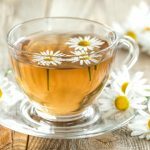 Does Rosemary Oil Help in Hair Growth? Rosemary oil is a natural anti-oxidant, which helps in reducing the number of free-radicals that lead to bad hair health. These free-radicals can be produced in excess due to a number of environmental factors such as pollution, exposure of hair to harmful chemicals, stress, etc. Rosemary oil also functions as a natural stimulant; it is absorbed by the roots of the hair and boosts blood circulation which helps in hair growth. Oily scalp leads to weakening of hair follicles that leads to bad hair health. Rosemary oil can help make the scalp healthy by reducing the oil produced by the hair follicles. The anti-inflammatory function of rosemary oil helps with the inflammation caused to the hair scalp helping with normal hair growth. Mix 4-5 drops of rosemary oil with 2 teaspoons of almond oil and castor oil each and warm the mixture slightly. This mixture can be gently massaged into the scalp once every 3 days and left in for 15 minutes before hair wash. Mix 8 drops of rosemary oil and 5 drops of jojoba oil. Warm this hair oil mixture and apply on the scalp of the hair. Leave it in for 15-20 minutes before washing the hair. Add one teaspoon of honey to this mixture. This serves as a hair mask. Apply it all over the hair from the roots to the ends and leave it in for 15 minutes before hair wash. This can be repeated once every two days. Benefit:- Scalp or hair massage is very important to promote hair growth. A massage also rejuvenates your hair, prevents hair fall and improves your blood circulation. Mix 2 teaspoons of coconut oil, 1 teaspoon of honey and few drops of rosemary oil. Massage this mixture gently on your hair and leave it overnight. Wash your hair the next day and you will see your hair shiny and bouncy. You can use rosemary oil mixed with shampoo. It is very easy to make this mixture – just blend in some rosemary essential oil drops with your regular shampoo. Apply the mixture onto your scalp and then rinse your hair with water. You can also add it with your conditioner. Doing this twice or thrice every week stimulates hair growth and stops hair fall. In case you don’t want to add rosemary oil with your shampoo or conditioner, then another option would be to use rosemary directly to wash your hair. Take 4 to 5 teaspoons of rosemary dried leaves in a bowl of water and let the water boil till the leaves are completely infused in it. Once the solution has cooled down, add tap water and wash your hair with it after shampooing. Another hassle free way of using rosemary essential oil is by taking two rosemary tea bags and place them in hot water for few minutes. Use this mixture after shampooing or conditioning your hair. This would nourish your hair and make it strong and shiny. This treatment is really beneficial in stimulating hair growth. Hair fall is a common problem in our society and can occur due to consuming unhealthy or poor diet. So, it is most important to follow a proper diet schedule in your day to day life. Did you know rosemary essential oil helps to make your hair healthy and strong? If there is any deficiency of vitamin in your body it is best to have rosemary green tea that is full of antioxidants. Rosemary green tea is easily available in all the stores or you could also order it online. All you need to do is let the rosemary green tea bag steep in a cup of hot water for 2-3 minutes and then drink it. 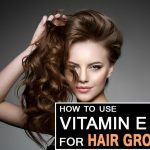 The above mentioned methods are provided so that you get proper guidance to eliminate your hair loss problems and ensure that there is an increase in your hair volume as well as good hair growth. With the help of this natural rosemary essential oil, you no longer have to face any hair problems. The rosemary essential oil particularly helps to stimulate your hair growth perfectly and easily. Apart from that rosemary oil also helps to improve your memory power, reduces pains in the body, treat gallbladder disorder, heal neuropathy and neuralgia, and more. Thus, you get proper healing and treatment for your health, hair and skin. Avoid using excess chemicals like shampoos, hairsprays and other hair styling devices regularly especially after the use of rosemary oil. 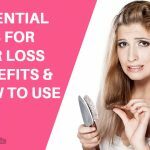 These damage the hair and lead to hair loss. If their use is continued then all efforts at hair growth would prove futile. Do not use excess rosemary oil when massaging the scalp as it can clog the hair follicles. Ensure that you do not overheat the oil as it might burn your scalp while also damaging the hair. We would love to hear your feedback and experience of using rosemary essential oil for hair. So do drop in a line in the comments section. A number of essential oils are beneficial to enhance hair growth. We shall be discussing amazing benefits of rosemary oil for hair growth in this article.